Don't adjust your monitors, what you are seeing is real. It is indeed a bright florescent green lipstick that you are seeing before you. But before you ask me wether i am auditioning for the wicked witch of the west or not, allow me to explain my most recent ( and most interesting ) purchase. This ladies, is the Genie Lipstick from Barry M.
I use Barry M for all my nail varnishes but i do occasionally nosey over to the make up section and see what's happening over there. Well, The Genie was happening this time. When i saw it i thought " Why on earth would anyone wear bright green lippie unless they're off to an apocalyptic all night rave"? But i was soon corrected when i read the description. 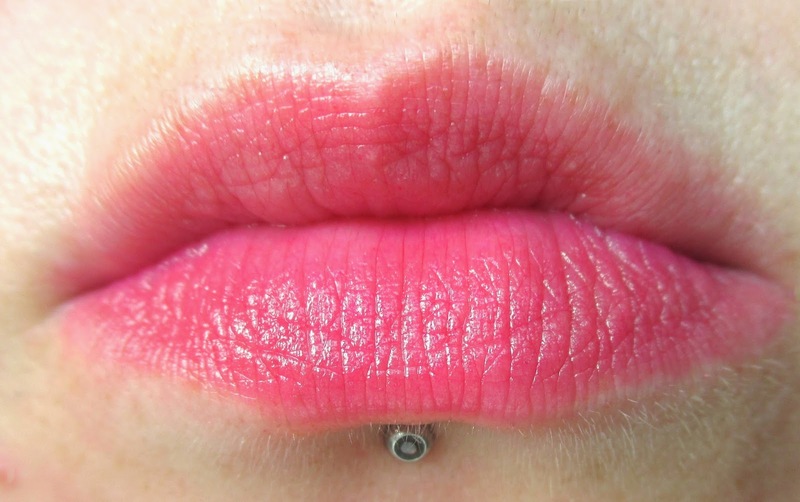 This lipstick magically turns your lips into your perfect shade of pink. But how i hear you cry when it's green!? Well, it claims to adapt to the Alkaline in your lips and because everyone has different levels of Alkaline in their bodies, it will vary in shade depending on the person. Pffft come on now, surely this is a load of hyped up rubbish? Your lips must have a horrible greenish tint lathered all over them....? No they don't! On application, there wasn't a single speck of green but instead, this beautiful blushed pink colour. Now i admit i have never really thought that pink lippie would ever suit me, but with this claiming to react to what my body is telling it to and providing the perfect shade of pink for me, i stand completely corrected. And to add a cherry to this mighty fine cake we have here...it only cost.... £4.49. Words fail me. This lipstick is amazing on so many levels and it's now my firm favourite. Movie hd has the largest collection of videos including the watchseries hottest movies and tv collection. merely a COMPUTER with Internet access or contemporary TV with Wi fi.More information on yemoviesonline on yemoviesonline.org.